Instructor L. J. Hunter is the author of “Lonesome for Bears” Lyons Press 2008, a co-founder of the International Society of Professional Trackers and is certified by CyberTracker Conservation in Track and Sign, as well as by Universal Tracking Services in human tracking. Further experiences include man tracking for Search and Rescue interspersed with natural history studies and a former brown bear viewing guide in an outback Alaskan Lodge. Instructor Terry Kem was raised on a ranch along the Columbia river in Oregon. He likes to reflect on these years as his endless days of play. In 1994, Terry was reintroduced to the natural world by his first tracking mentor, Tom Brown Jr. Over the last 20 plus years, he has also taken classes from many trackers in our country with the goal to expand his skills and nature awareness. Terry has logged thousands of hours tracking and teaching his skills through various organization here in the Northwest, including his own. Terry has received a level III Track & Sign Certificate. To learn more about Terry Kem, go to his website at www.deerdance.org. Instructor Jane Doudney has been a lifelong outdoors enthusiast, from her youth in the Midwest to years of exploring the Alaskan wilderness and now SW Washington. She had tried many traditional ways of enjoying the outdoors and then came upon track and sign. Jane was first introduced to tracking through classes with Linda Hunter. Through these experiences, her appreciation for the interrelatedness found in nature deepened as she learned to “read” the stories the forest has to tell. She has also studied trailing with Adriaan Louw and became Cybertracker certified in 2016 in track and sign. Jane is a talented tracker. The woods symbolize peace and joy for her and she looks forward to sharing her passion for nature and tracking with new people. Jane has been an active part of TreeSong since its beginning in 2013. Instructor Margaret Trenholm spent her early years exploring the coasts and forests of Cape Cod. She didn’t realize this idyllic experience would set the stage for a later life consumed by her passion for tracking and trailing. She is currently enrolled in a Tracking Intensive program and hoping to bring that knowledge to share with people in the Tracking Comprehensive during the summer. She passed the Cybertracker evaluation in 2016. Other tracking related experiences include – helping set wildlife cameras in the Mt Hood area, being a trail steward and reluctant birder with Steigerwald Refuge, participating in a trailing workshop with Adriaan Louw. She is thankful to Linda Hunter for igniting her interest in tracking and being a wonderful mentor/teacher. Kevin has been serving adults and kids as a naturalist educator and wilderness skills instructor since 2005. He started his career in Alaska where he became a Naturalist-in-Residence for the Juneau School District and taught hands-on inquiry-based science for elementary age students. From there he has served as a freelance naturalist in various settings on the West Coast from Walker Creek Ranch in Marin, CA to the In-School Programs Specialist at Seward Park Audubon. He served as a Teaching Assistant for the renowned Wilderness Awareness School Adult Tracking Intensive Program 2015-2018. He currently holds a Cybertracker Level 3 Wildlife Track & Sign and coordinates the Seattle Tracking Club. Wanting to deepen his naturalist training he completed the rigorous, nine-month Anake Naturalist Training Program at Wilderness Awareness School in Duvall, WA. During that time, he also completed the certification through Kamana Four, a self-directed three-year nature study program. All these years he has been connecting adults and kids to nature, others, and to themselves in wild places of the Pacific Northwest. He is the Director and Lead Instructor at South Sound Nature School in Washington State. Instructor Laura Whittemore has been teaching classes in beginning birding and birding by ear for the Audubon Society of Portland since 2000. She loves to teach people about birds and open the door to learning more about their fascinating and interesting lives. Her goal as a teacher is to help students raise their awareness of the natural world around them. Laura finds that taking just five minutes to slow down and watch birds creates a meaningful and inspiring connection with creatures other people might pass by. Sage Jensen has over 21 years of experience conducting biological inventories and assessments throughout the Northwest, including botanical surveys. Sage has been teaching plant identification classes in Oregon and Washington for nearly the same amount of time, with a focus on introductory plant taxonomy. Her goal as an instructor is to give students the tools to make connections to the natural world around us in a fun and approachable way. Anna’s love of art and the creative process has been a major part of her life since she was a child. She believes the powerful communication and expression of art enriches both the artist and the public. Anna tries to speak out about critical and difficult issues facing people and the planet, but also balances this with art that is whimsical and humorous. She enjoys the exploration of metaphor and irony in all their permutations. Anna works with clay, mixed media, and found objects to create unusual and expressive sculptures and assemblages. She draws most of her inspiration from a deep and lifelong love of nature and animals. She teaches classes in clay and mixed media to adults and children and is also an art therapist and art therapy supervisor. Following the tragic loss of her daughter to cancer in 1989, she returned to college and in 1992 earned a master’s degree in art therapy, later working for hospice in Portland. Several years after that, she began private practice, specializing in grief and loss. Anna believes her own experience and the experience of helping others through such difficult and challenging times have enriched her own personal growth and expression and given her an understanding of deep human connections. The process of making art can have a deep healing impact on the artist. Andie Thrams makes paintings and artist’s books in wilderness habitats. Her art and teaching explore mystery, reverence, delight, and vanishing habitats. Her award-winning work is widely exhibited and held in numerous permanent collections, including Yale University and the University of Washington. 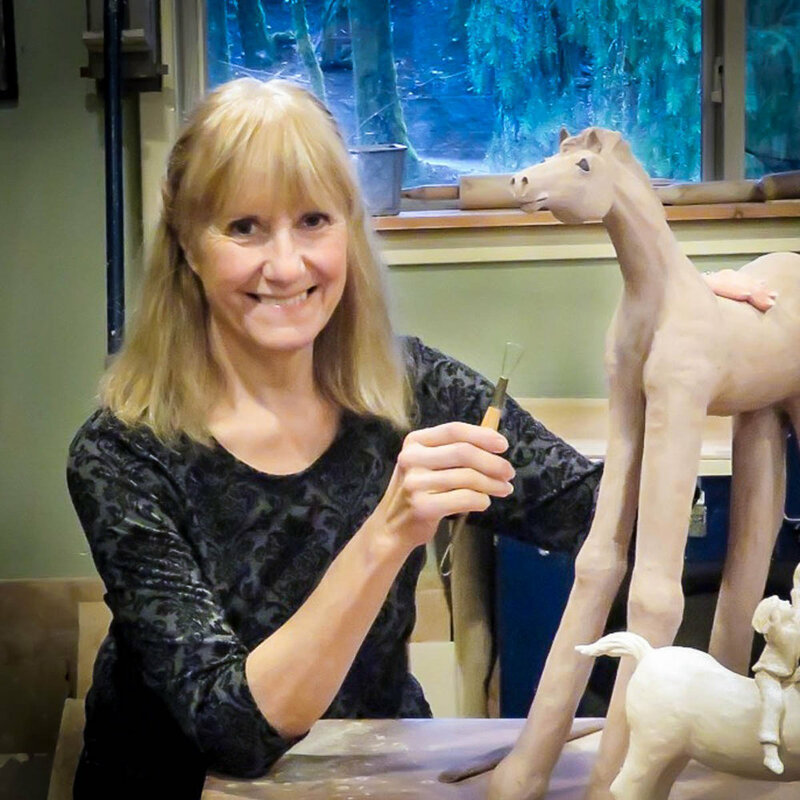 She earned a BA degree in art practice from the University of California, Berkeley, and has been teaching art making in the outdoors since 1990. Heather Jolma Fray is a yoga instructor, creator of the Breathing Room in Vancouver, mother of two, amazing musician, and so much more! Chas Martin is a sculptor/painter from Portland, Oregon. His teaching style is both playful and enlightening. He is a former creative director whose entire career has focused on nurturing the creative spirit of those around him. Chas works daily from his studio where he also mentors other artists and holds classes on watercolor, acrylic and sculpture. He is a former instructor at Boston Art Institute, San Francisco Academy of Art College, Pacific Northwest College of Art, Northwest Academy and Sitka Center for Art and Ecology. As a life-long vivid dreamer, Rose Gerber has always been fascinated by dreams. After studying dream psychology and practicing dream analysis, Rose discovered that she enjoyed helping others discover the healing power of dreams. Rose facilitates dream groups, and produces and hosts a podcast about dreams, Decoding R.E.M., which explores the science and mysteries behind dreams. 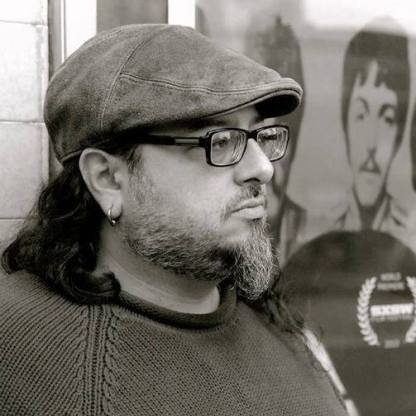 Christopher Luna is a collage artist, poet, editor, and teacher who served as the first Poet Laureate of Clark County from 2013-2017. Luna has an MFA from the Jack Kerouac School of Disembodied Poetics, and is the co-founder, with Toni Lumbrazo Luna, of Printed Matter Vancouver, an editing service and small press for Northwest writers. He has hosted the popular Ghost Town Poetry Open Mic in Vancouver, WA since 2004. Luna’s books include Brutal Glints of Moonlight, GHOST TOWN, USA and The Flame Is Ours: The Letters of Stan Brakhage and Michael McClure 1961-1978. His first full-length collection of poetry, entitled “Message from the Vessel in a Dream” was published by Flowstone Press in December 2018.